Hi friends! Sorry for not speaking German. 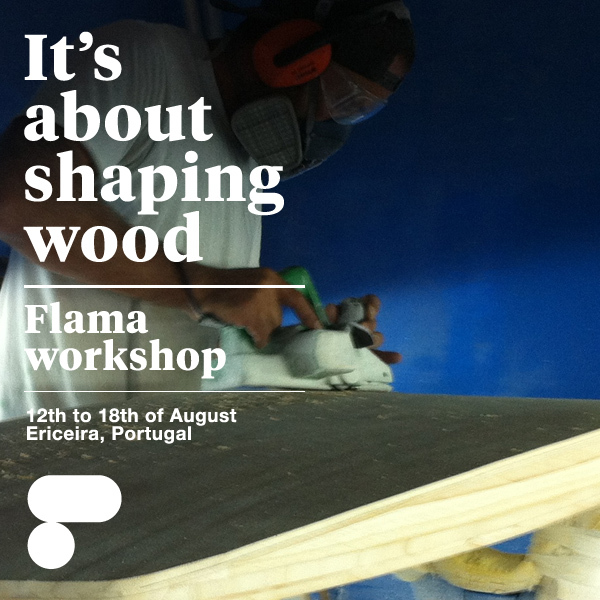 Flama: 99% organic surfboards, is organizing a shaping workshop in Ericeira, Portugal, in august. This is not another "boat building course", but a "shaping course". In other words: we'll be shaping wood instead of foam! Flama builds hollow paulownia wooden blanks to be shaped the same way than a foam board, but once the shape is finished the board does not need to be glassed, only varnished or oiled. We've planned the workshop in a relaxed way. Over a week period you'll be taking turns with the other students, morning or afternoon, so you will have time to surf every day in one of the best places in Europe for surfing –actually, Ericeira is the sencond World Surfing Reserve, after Bells Beach in Australia–. When you make your booking you will have to choose the surfboard model you want to shape and fin configuration, and we'll have it ready for when you come. You do not need previous experience to do this course. Before we get into the shaperoom, Nico from Wavegliders (one of the most renowned shapers in Portugal) will do a talk about surf design and hydrodynamics. And Sergi, the man behind Flama, will be behind your shoulder, guiding you and supervising the whole process.